1. Put the rinsed rice into the net. In the meantime, cut the mushrooms in a suitable size. 2. Put all the ingredients in [A] into the rice cooker, put water in, and then put the rice in. Mix well. 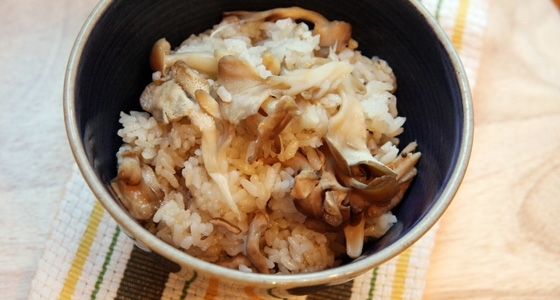 Add in the mushrooms and cook the rice.